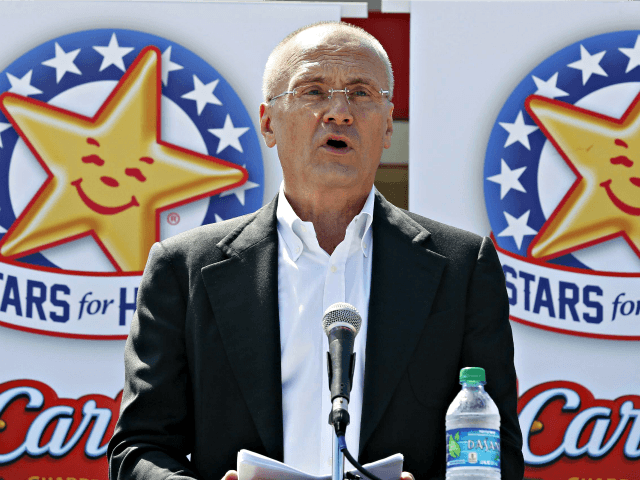 The Service Employees International Union is launching a desperate campaign against Donald Trump’s nominee for labor secretary, Andrew Puzder, who is the chief executive of CKE Restaurants, the parent company of Hardee’s and Carl’s Jr. The attacks come from the SEIU’s “Fight For 15” campaign, which has protested fast-food companies while trying to unionize the industry’s low-wage and unskilled workers. In the addition to the protests, the union is filing 33 legal complaints against Carl’s Jr. and Hardee’s franchisees. The Labor Department, as Breitbart News has written, writes the workplace rules and regulations for most Americans. Under President Barack Obama’s administration, the Department of Labor effectively became the Department of Organized Labor. The Obama labor department was openly hostile to advocates of small government. In 2011 , U.S. Secretary of Labor Hilda Solis insulted members of the Tea Party, referring to the activists as “teabaggers,” as Breitbart News reported. The SIEU will be slashing its budget by 30 percent this year as a result of having to “dramatically re-think” its strategy in the wake of Donald Trump’s landslide victory. Left-wing news site Raw Story has reported that the workers who were working for the SEIU’s Fight for 15 campaign weren’t making $15 per hour and weren’t unionized. The hearing on Puzzler’s nomination is now scheduled for Tuesday, Feb. 7.